In 1987, Television producer Sandy Frank edited together several episodes of the series, including the first and last episodes, into a movie called Time of the Apes. Syndicated to Broadcast and Cable outlets, this compilation film was also released on home video in mid-1988. The dubbing referred to the villain as "General Gaybar." 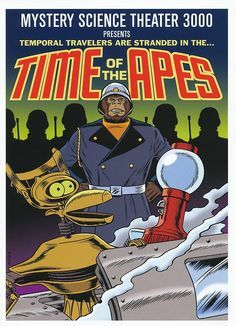 The movie was then featured twice on Mystery Science Theater 3000, originally on KTMA in 1989, and then later as part of season 3 in 1991 on Comedy Central.